One of the Acupuncturists at Castle Clinic is Janice Miller who graduated following a four year post graduate diploma course at York. Janice very quickly built up successful practices in Northallerton and Knaresborough and is also a practicing Medical Herbalist. 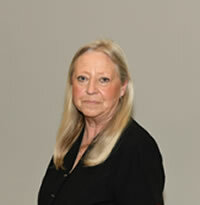 Janice is a member of the British Acupuncture Council and complies fully with their code of conduct and ethics. Acupuncture is a complete system of healing practiced in China for thousands of years. It is well known for the treatment of pain but can also treat a wide range of illnesses. Its focus is on improving the overall well being of the patient, rather than the isolated treatment of specific symptoms. Traditional Chinese philosophy is based on the idea that our health is dependent on the body’s motivating energy - called Qi – moving in a smooth and balanced way through a series of channels beneath the skin. By inserting fine needles into these channels the body’s own healing response can be stimulated. Herbal Medicine (or Phytotherapy as it is sometimes known) is one of the oldest systems of medicine. The World Health Organisation estimates that 85% of the World’s population still depend on the healing properties of plants for health and treating disease. A Herbalist treats each person as a unique individual and prescribes herbal medicines to obtain or regain optimum health. The condition treated may be of a short or long term nature. Medical Herbalists are trained in similar diagnostics and clinical skills to orthodox doctors. They treat in a holistic way by seeking and identifying the underlying cause of the problem, not just the symptoms of the disease. The herbal medicines used are either organic or collected from the originating source. They work by acting on the systems in the body to improve their function and restore a balanced state of health. In restoring the balance our body’s own healing powers are encouraged. This healing requires the patient, practitioner and herbs to work together as a team.